Having a Pulitzer Prize gives an author license to leave his or her comfort zone. 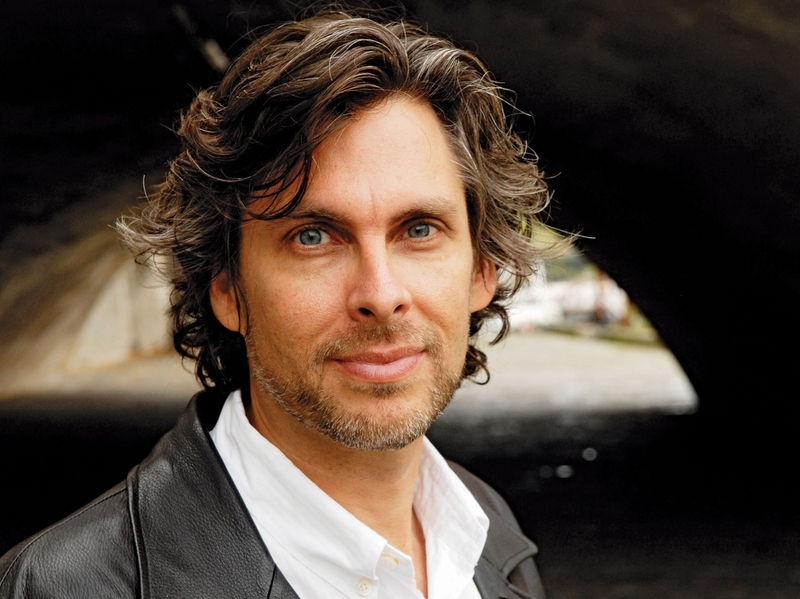 For Michael Chabon, it means telling a story set within the black cultural landscape encompassing Berkeley and Oakland, a fault line for cultural misunderstandings, recurring racism and larger than life personalities. “Telegraph Avenue,” the author’s latest novel, never flinches from an array of subjects ripe for critical x-rays. Chabon introduces us to an unlikely pair of friends running an old-school vinyl records shop threatened by a superstore rival. Set in 2004, the story skims issues like mixed race friendships, gentrification and the age-old bonds between lousy parents and lost children. Chabon (“The Amazing Adventures of Kavalier & Clay”) finds no easy answers, but his probing keeps readers on edge for the next quiet but keenly realized observation. Longtime pals Nat Jaffe and Archy Stallings aren’t getting rich with Brokeland Records, their used record shop which lets them bask in their passion for R&B music. That hardly matters, since the store keeps them in touch with the community and lets them riff on any number of subjects from nine to five. The fact that Nat is white and Archy is black isn’t a major factor in their friendship. That doesn’t mean race doesn’t loom large around Telegraph Avenue, the street where much of the action takes place. The pair’s modest success may end when gridiron great Gibson Goode, a character possibly inspired by Magic Johnson’s entrepreneurial moves, decides to install a bigger record shop in their neighborhood. “Telegraph Avenue” takes a curious look at capitalism, as its main characters bemoan a construction project which could do a world of good for their neighbors. By the time they mentally rally to face the threat head on, readers will wonder if it’s already much too late. Chabon piles up the characters, subplots and elegant metaphors until the whole enterprise teeters, albeit briefly, on the edge of artifice. That it never falls speaks to Chabon’s command of both style and substance. His novel has ambition to spare, but the author brings the necessary understanding and sense of pacing to the material. There’s a touch of Tom Wolfe in Chabon’s storytelling, an unwillingness to flinch from difficult material and a journalist’s sense of smaller, undeniable truths. Anachronisms abound, from the very notion of a large-scale vinyl records shop to Luther Stallings, Archy’s father who once reigned supreme as a blaxploitation superstar. Chabon’s dense prose makes “Telegraph Avenue” a challenging read, and the overlapping narratives require mental bookmarks. His lush descriptions and vivid characters offer their own sly rewards. Luther Stallings, is trying to write his own comeback vehicle, a saga that connects in small and profound ways to the main character’s fractured relationship. And the friendship between the main characters’ off spring is oddly moving. Chabon isn’t interested in sermonizing. He does get a mite too fancy detailing a case of racial harassment which wraps in an unrealistic fashion. The story’s final pages take a stab at genre fiction, with the physical threats to the protagonists spiking with every paragraph. The author isn’t quite as captivating here, although the multiple stories wrap in a way that neither strains credulity nor serves as a cheap literary escape route. Perhaps the novel’s oddest passages involve a visit from a certain Illinois state senator looking to ride his 2004 DNC speech into a position with the U.S. Senate. Yes, Barack Obama’s “Telegraph Avenue” cameo is a celebratory one, and it’s a heavy handed attempt to weave the era’s reality into the saga of Brokeland Records. “Telegraph Avenue” remains a rich tapestry of cultures rubbing together in near-expert fashion, a look at the not so distant past which illuminates the complex social conditions common to modern living.